Sichuan Chengfei Integration Technology Co., Ltd (hereinafter referred to as CITC), established in 2000, is a high-tech share-holding company controlled by Aviation Industry Corporation of China. It is principally engaged in the design, development and manufacturing of the tools and dies, with typical products such as the dies for the large and high-grade outer skin panels such as the body side, roof, doors and fenders used in medium and high-grade cars. CITC has a registered capital of RMB 345 million yuan, the total assets exceeding RMB 3.3 billion yuan. It covers nearly 500,000 square meters and employs around 2500 staff. Of those, 540 staff is from the parent company, which covers 40,000 square meters and is equipped with over 60 large and advanced NC processing equipment as well as testing and commissioning equipment. 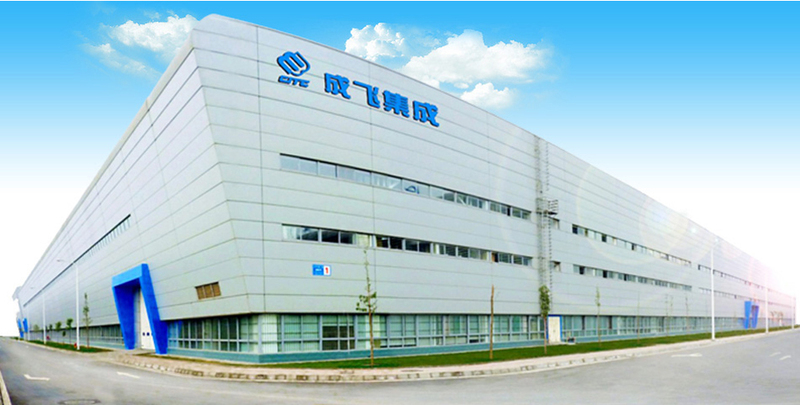 CITC, as one of four largest companies in China which produces auto panel dies and auto panels, and one of the high and new technology companies in Sichuan Province with a provincial technical center and leads its competitors in terms of technological strength and managementlevel, carried out its IPO and got listed in Shenzhen Stock Exchange (002190.SZ) in 2007, and then has become the first listed company in the auto panel dies industry in China. CITC utilizes the financing platform to actively promotes the development and expansion. In 2009, CITC established the first share-controlled subsidiary in Wuhu City, Anhui Province, named Anhui CITC Ruihu Automobile Die Co., Ltd. to enter the auto parts business and expand in the vertically-expanding industrial chain; in 2011, CITC pooled RMB 1.02 billion yuan with non-public offering of shares to invest in its share-controlled China Aviation Lithium Battery (Luoyang) Co., Ltd and build the lithium-ion power battery project, achieving the industrial restructuring and upgrading and business diversification. CITC always adheres to the operation ideas of "Quality, Punctuality and Efficiency", striving to be a first-class key suppliers for the auto tools and dies at home and abroad and an international advanced general contractor for autos toolings for autos. CITC will work with you to unfold a shared glorious chapter in the future.